The Collier family has a long history with automobiles and motorsport. Using their success in subway and rail car advertising as a springboard, the Colliers would go on to found the car club that would become the SCCA, have great success at Le Mans, and grow one of the most extensive collections of cars, and automotive literature in the world. The Collier Collection and related "Revs Institute" in Naples, Florida, have a world renowned reputation for excellence, and until recently, have been kept under wraps to public visits. At one time, the collection was entirely available for public display, but in 1994 they closed their doors. Since that time, the focus of the collection has been on preservation, attempting to dissuade collectors from the restoration of significant historic automobiles. Though the collection has remained accessible to scholars, researchers, students and certain car club members in that time, the public eye has been excluded. [Editor's note: FLATSIXES.com had the good fortune of a private tour a few years back after an introduction made on our behalf by Porsche. At the time, as the collection was still private, we were asked not to publish our visit. We'll do a full write up after our next visit.]. 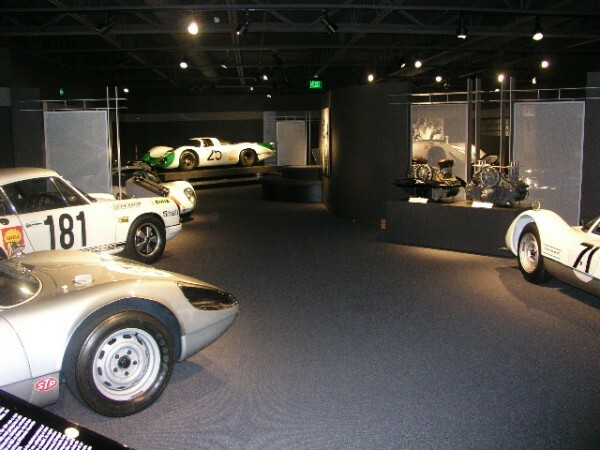 How do I contact the Collier museum and request a ticket to visit the Collier Porsche museum? They are currently closed for renovations until the mid-September. However, you can visit their web-site at https://revsinstitute.org/plan-a-visit/ to reserve a ticket for when they re-open.